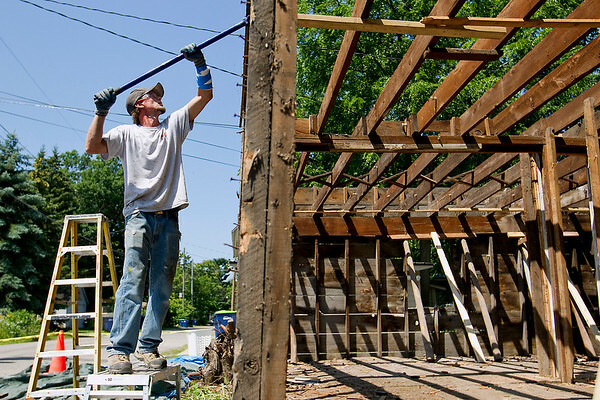 Joe Harrison and a crew from Lake Ann Barn Wood disassemble a carriage house behind a home on Eleventh Street in Traverse City's Central Neighborhood on Tuesday. "I love this stuff," said Harrison, who said the building dated to between 1895 and 1906. "There's so much history in these buildings."